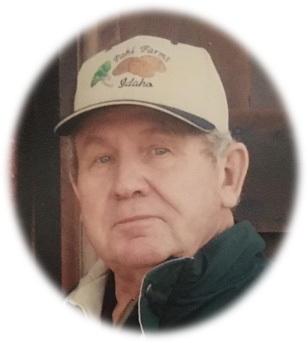 James (Jim) Marvin Pahl, (80) died peacefully at home surrounded by his loving family and caregivers on Monday, November 19, 2018. He passed away due to complications from a stroke and infection. Jim was born on February 27, 1938, to Jacob and Bertha Pahl of New Leipzig, North Dakota. He was the youngest of 12 children. He grew up on the family farm and enjoyed operating farm equipment, playing football, basketball, riding calves, and fishing. He learned the meaning of hard work, good nature, and some carpentry skills at the side of his father who did woodwork to support the family. He joined the Navy on January 3, 1956, at the urging of a childhood friend who was enlisting. Ironically his friend didn’t pass the initial physical so Jim found himself alone and was stationed at the Naval base in San Diego. He was assigned General Storekeeper on the USS Hancock (CVA 19) aircraft carrier which supported over 3,000 crewmen. His service in the Navy taught him the purpose of order, cleanliness, and the satisfaction that comes from doing a job well—characteristics that defined him throughout his life. When visiting his two older sisters who lived in American Falls, Idaho, a chance meeting and miraculous events lead to an introduction, which resulted in a long distance courtship, to Frieda Justina Ruff. He was honorably discharged February 9, 1959, and married the love of his life, Frieda (Fritzy) on March 8 of the same year. They lived in North Dakota one year before returning to farm in the Pleasant Valley area west of American Falls. They would have celebrated their 60th anniversary in March of 2019, however, Frieda passed away in October, just six weeks prior to Jim’s death. Jim was known for doing things his own way and always believed in finding new and better ways to make the farm more productive, neat, and tidy. The couple was blessed with three children, Jeff (Pocatello), Greg, (American Falls), and Camille (Cami), (Vancouver, Washington). Jim was an ardent supporter of all his children’s activities which included competitive swimming, football, basketball, and Horse 4-H. He took a special interest in judging swim meets and made lifelong acquaintances with fellow parents and coaches. He found a hobby in snowmobiling in the winter months that turned into a passion when he became a Polaris Snowmobile dealer in 1968. Years of enjoying Idaho's winters together with family and friends was one of his greatest joys especially at the family cabin in Island Park. A balancing act occurred every Fall as new snowmobiles arrived for sale at the same time the crops were being harvested as the farm shop was also the Polaris storefront for 28 years. His sons joined him on the farm where he passed on his legacy of hard work. He will be most remembered for his joking character, exactness in endeavors, kindness, and generosity. Thousands of pounds of potatoes, homemade German sausage, and Kuchen have been shipped all over the country, from California to Florida, to friends and relatives over the years as well as other donations of time and talents. He is survived by his children: son Jeff (Tana) and their children, Jeminee (Mike), Jantzen (Corina), Bayley (Casey); son Greg (Julie) and their children Wes (Brianne), Dakotah (Lance), and Scout (Jordan); daughter Camille (Cami) Cadran (Dave) and their children Mia and Sophie and numerous nieces and nephews. He is also survived by three great-grandchildren, Roman, Asher, and Bode. Surviving siblings include Hilda Zimmerman, Ida Deeg, and Marion Krause. He was preceded in death by his parents, Jacob and Bertha, and siblings Ernest, Mildred, Edmond, Fred, Ruth, Elmer, Roland, and Melvin. The family would like to extend love and gratitude to the professionals at Portneuf Hospital and Encompass Health Care for their exceptional care. A special thanks to the family’s Elm Tree caregivers for the support and compassion extended to both our parents which allowed them to remain together at home on the farm until their deaths. In lieu of flowers, a gratitude fund has been established by the family dedicated to providing monetary assistance to select individuals or companies who exemplify the generosity and compassion similar to what the family has experienced in the recent years. The funeral service celebrating Jim’s life will be held on Thursday, November 29, 2018, at 11:00 am at American Falls Community Church, 745 Bennett Ave, American Falls, Idaho. A gathering will be held prior to the funeral from 9:30 am to 10:45 am at the American Falls Community Church.